The Homesman, written and directed by Hollywood A Lister Tommy Lee Jones, is another offbeat western by the man who brought the world The Three Burials of Melquiades Estrada, although that was a modern day western and his most recent offering is actually a period piece. Set back in the days of sod houses and farmers trying to survive the harsh Nebraska winter on the plains, the film is a western mainly due to its locale and time. Jones directs the feature and co-wrote the screenplay with Kieran Fitzgerald and Wesley A. Oliver based on the book written by The Shootist author Glendon Swarthout. Well, I had to wait for a month and a half to see the new Coen Brothers remake and wow. Again about two years ago this video, enjoy. I was sitting here perusing my old blog posts when I suddenly got the image of John Wayne as Rooster Cogburn in my head. As I sat there mentally studying Rooster, I thought of the title of the film. More images came to mind. Grits, obviously, the great southern delicacy that I can live without…forever. Who ever invented this southern ‘breakfast’ dish, should be shot with the corn niblets that were ground up to make this dish. Bland to the point of disgust and only edible after you add copious amounts of salt, pepper and butter. Blech! Another image is that of grit. If you have ever raised chickens for eggs, you will know this word. Grit is made up of small shells and stones that have been ground up into tiny little crumbs. You have to give grit to chickens every day if you want eggs that will survive long enough for you to put them in your omelet. 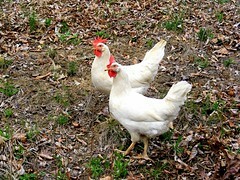 It is essential that chickens have grit to give them strong shelled eggs. I also think of the boy scout newspaper called Grit. We used to have a town character named Burney who sold these things on the town square when I was a boy. Burney was a ‘town character’ because he had epilepsy. Not the sharpest of tools in the shed, Burney was nonetheless harmless. He would not have hurt a fly. Strangers coming into the town would give Burney a wide berth, fearing him a little. One day Burney had a petite mal on the sidewalk. A couple of visitors were shocked and concerned. One of the tellers from the bank, come out and looked after Burney and made sure he didn’t bite his tongue or swallow it. After Burney’s fit was over, the teller went onto the drugstore and got him a cold Coke. Burney thanked him and sat contentedly sipping his cola. One of the ‘non-residents’ of the town asked the teller what had happened and was that poor man okay? “Oh, that’s just Burney,” the teller replied, “He’s all right.” After glancing over at Burney one more time, the teller went back into the bank. Burney finished his Coke and took the bottle to the store for the deposit it would net him. I mention Burney, because of True Grit. The film, about a young girl who seeks to catch and hang her father’s murderer is looking for a Marshall who has true grit to help her. Of course all the main protagonists have grit in spades. And that is the last thing I think of, the grit that people show in their everyday lives. Not everyone has it. Grit is that stubborn never give up attitude. The ability to keep going when others will easily give up. Grit is loyalty and the ability to not think of yourself as anything different. Grit is to be brave in the face of the fearful. Burney was a wonderful example of true grit. Through every type of weather imaginable and if he was sick or not, this man struggled out everyday to sell his Grit newspaper. He even ignored, for the most part, the annoying kids who used to make fun of him. Every kid in town would do it at least once. “Hey Bur-ney! Wana buy a GRRIITT!” The shrieked out question was usually said on the run as Burney was incredibly fast and could almost catch the little stinker who thought he was so witty. He would not have done anything if he had caught the kid, as I said Burney was harmless. I know he was because to my everlasting shame, I was one of those little clowns that thought it was hysterically funny to taunt Burney. Burney did catch me once. All he did was look at me sadly and shake his head, he then let me go. I never picked on Burney again. 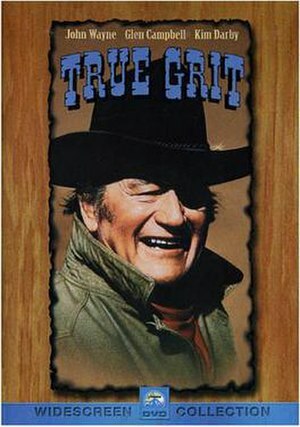 But I can tell you now that when I think of True Grit, it’s Burney’s face I see in my mind more often than not. If Burney was still alive, I’d buy a Grit, I’d buy the whole damn bunch of them.